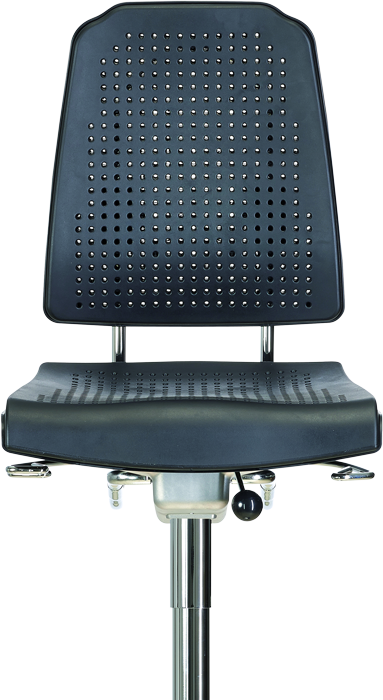 Laboratory chairs are required to meet the highest standards of hygiene and cleanliness. 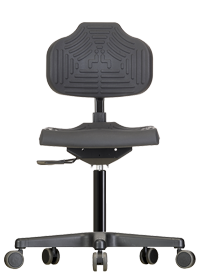 Apart from this, they are required to have ergonomic configurations which support proper posture during work that involves leaning forward. 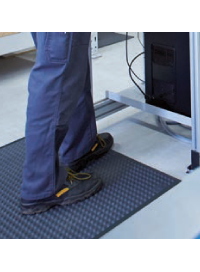 For example, Work such as microscope or pipette work. 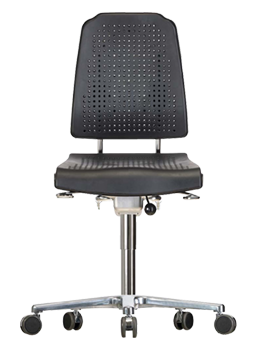 Messung-Werksitz ergonomic laboratory chairs are designed to meet the stringent specifications of various chemical and R&D labs. 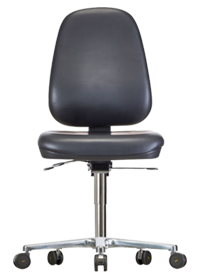 The laboratory chairs seat and backrest materials used are washable, can be disinfected and have an antibacterial, antifungal and antimicrobial properties. 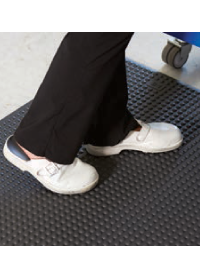 During production, the utmost care is taken to ensure that there are no seams or gaps that could encourage germs or bacteria to grow. 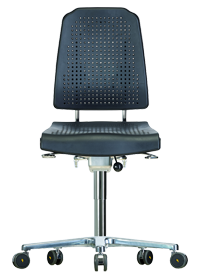 Messung-Werksitz certified laboratory and pharma chairs are suitable for S-classified Laboratories. 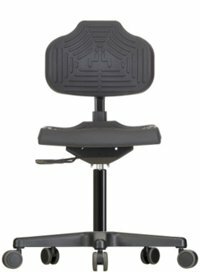 This premium ergonomic Lab chair from Messung-Werksitz offers plenty of room for healthy, dynamic sitting thanks to their ergonomic, tilt adjustable seats and high backrest with individually adjustable contact pressure. 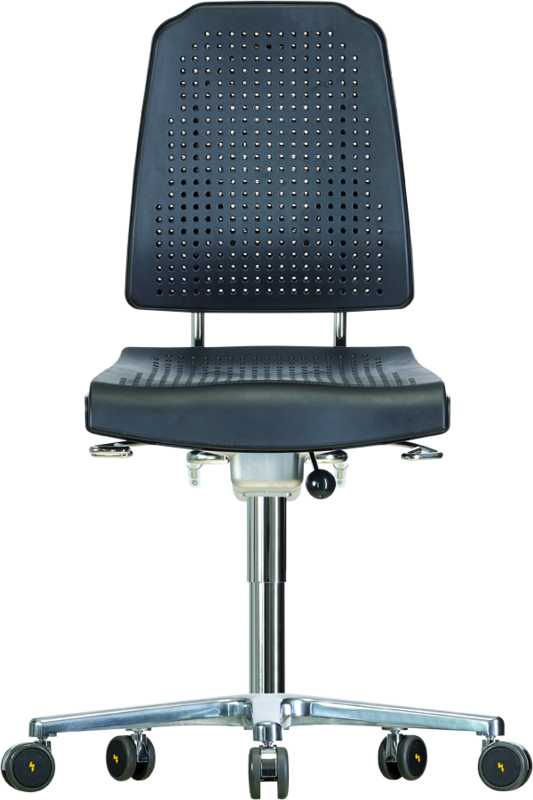 The fully perforated seat and backrest of these lab chairs provide continuous air circulation and optimum sweat free working conditions in ESD lab environment. 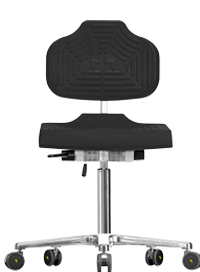 Other features include – washable and disinfectant resistant chair seat and backrest material which can also be cleaned in an autoclave. 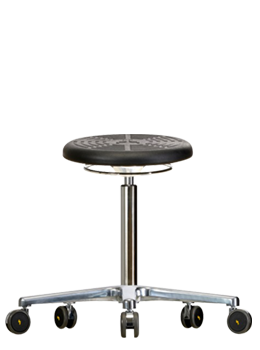 This ergonomically designed Lab stool is built for use in any chemical and R&D labs, GMP areas or Pharma manufacturing areas. 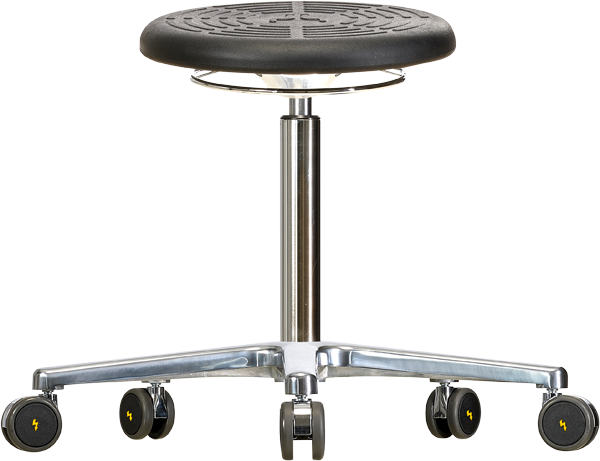 This ergonomic Lab stool is built with hard wearing metal components and fitted with PUR integral foam seat for utmost comfort. 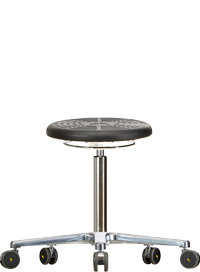 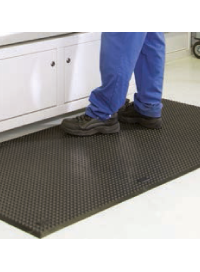 Other features include – washable and disinfectant resistant stool seat material.